Katy's Place opens at 7 am, and you should plan to go early. This advice was consistent from everyone in Carmel. We went on a weekday so there was no wait, but there is no doubt this charming neighborhood cafe is a hot spot on the weekends. Located in the heart of Carmel Village, this cafe is easy to find but plan on street parking. If you are staying nearby, walk. It gets busy. This is the first post in a two post California Benedict love story. Sadly, this is where Ann and I go our separate brunch ways. If you are not a poached egg lover, skip ahead, I can't help you here. If you are, then Katys' is Benedict paradise. First, they have TWENTY different kinds! Go with your benedict-minded friends so you can sample and share. 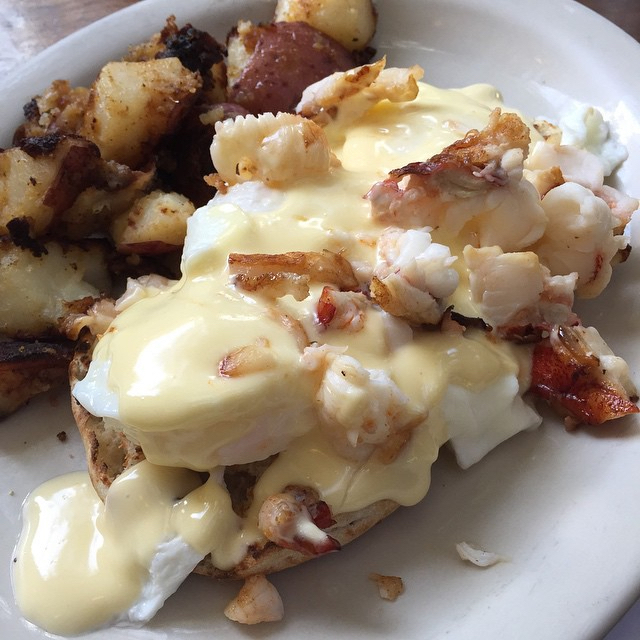 We ordered three and they were all solid choices - Irish Benedict (corned beef hash that is made in house), Miss Audrey's Lobster Benedict (luscious Maine lobster!) and a custom Benedict with sausage and mushrooms. Each were so unique and delightful that the waffle with fresh berries paled in comparison. No fancy coffee drinks here but they did keep the coffee coming. We left very full and highly caffeinated! For breakfast drinkers- the alcohol options include mimosas, white wine and beer. Kid and pets welcome as long as your fur babies are under 15 lbs. In addition to being incredibly adorable, the patio is heated for chilly Carmel mornings. For solo dinners, sit at the counter for a view of the kitchen and chance to chat with the chefs. The service was phenomenal, incredibly pleasant, fast and efficient. Don't forget to bring cash, they don't accept credit cards or split checks. We highly recommend the walking wine tour! There are several wine tasting rooms, all in walking distance from each other. Blair Estate was our favorite, located in the Carmel Plaza. 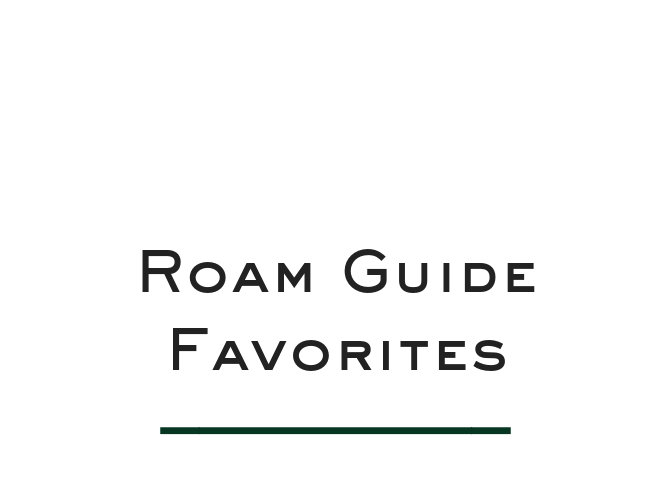 For more ideas on where to roam in Carmel see the Roam Guide.